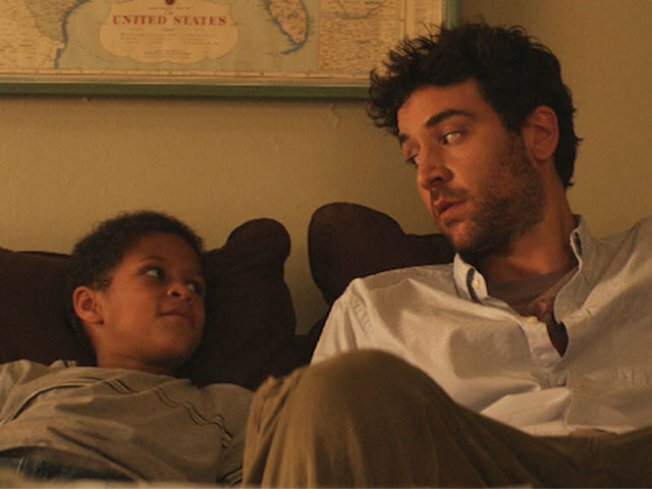 Writer-director Josh Radnor also stars in his film "Happythankyoumoreplease," screening tonight at Gen Art. CITY SLICKERS: “Happythankyoumoreplease” kicks off the Gen Art Film Festival, which runs through April 13. The film—written and directed by “How I Met Your Mother” star Josh Radnor—is firmly in the chatty urban Ed Burns mold, following three New York couples trying to figure out their lives. Groundbreaking? No. Fun and smart enough to get Sundance buzz? Absolutely. Clearview Ziegfeld,7:30PM. CROSS PURPOSES: We’ll never quite be able to scrub the image of David Cross in blueface on “Arrested Development,” especially when he’s standing right in front of us at the Soho Apple store, giving you a sneak preview of his upcoming release “David Cross: Bigger and Blackerer,” a comedy special filmed at Boston’s Wilbur Theatre, set to drop May 25. 7:30PM. BOTTOMS UP: Taste dozens of whiskies from here (Kentucky) and there (Scotland), mingle with distillers, sup on delicate diner pairings, get a crash course in whisky mixology and other things you know zilch about (coopering? anyone?) and generally spend your Wednesday raising a glass (or 24) to brown booze at the Whisky Live 2010 event at Pier 60. 5:30PM.